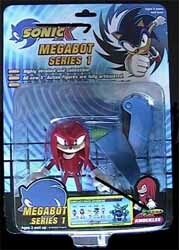 Knuckles comes complete with the Megabot's right leg. The only slight complaint I had was that the Megabot parts are pretty useless on their own. No thought has gone into fashioning them into weapons, or accessories that could be used with the individual figures. 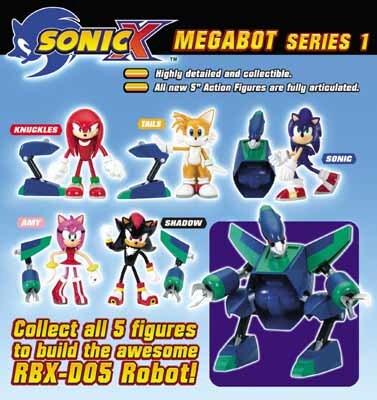 Surely, with a bit of tinkering, the arm sections (that come with Amy and Shadow) could have been transformed into jet packs, or guns.